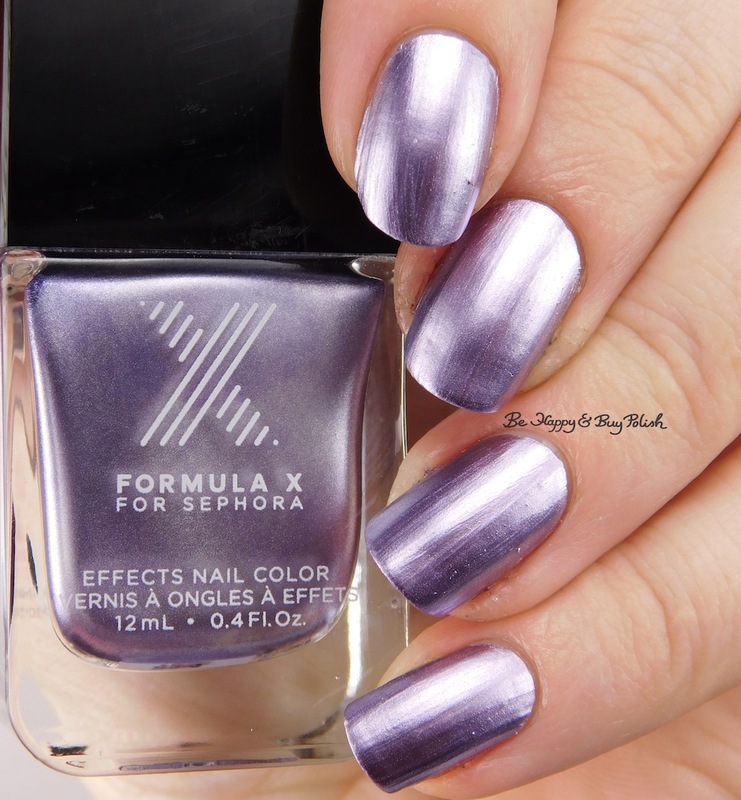 I’m back with some Formula X nail polishes to show you today: Torque and Racy. These are both chrome-y polishes, one I top-coated and one I did not, just to see how the top coat would change how the chrome looked. Torque is a brown-green polish. Formula is okay, it dries fast and matte. It also shows all my ridges and flaws. This is 2 coats plus top coat. 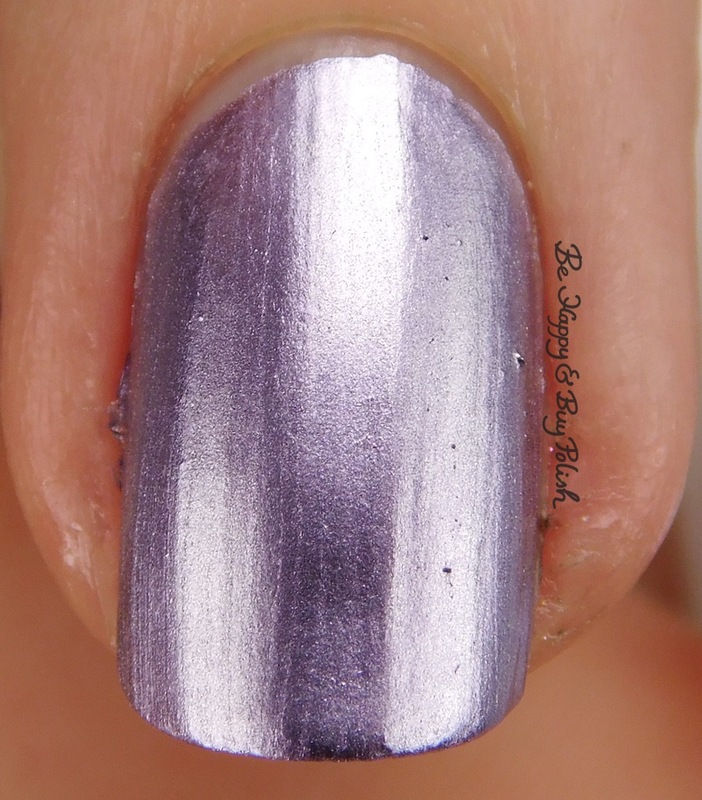 Racy is a pretty silvery purple polish. Formula is similar to Torque. This is 2 coats and no top coat. Racy is really pretty, it has to be my favorite. I just love the color. And to be honest, it reminds me of 80s lacy lingerie! 😛 No wonder they named it Racy. Nice swatches of them. I like that gold one the most. These kinda look like they might stamp well?